WHAT, you haven't heard of Graeagle? 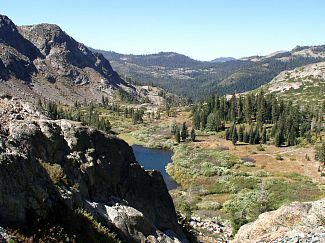 You are missing one of the best family vacations in the High Sierra. We are located just fifty miles north of Lake Tahoe, and you won't be contending with large crowds. You will hear the train whistle echoing across the Mohawk Valley, a sound I love. Family vacations in Graeagle focus on outdoor recreation, if you are like me and love to be outdoors this is the place for you. If you enjoy shopping small boutique gift shops, that works also. Graeagle is well known in golfing circles for it's Golf courses. , Four top rated 18 hole and two 9 hole. There is a course to fit everyone's experience level. 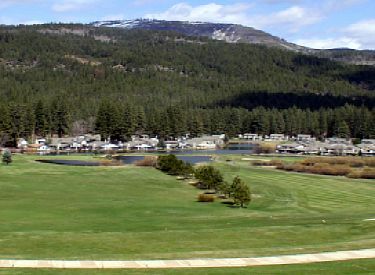 The fairways meander through Ponderosa and Jeffery pines, follow the edge of the Feather River, or provide wide panoramic views of the surrounding mountains. For the young and young at heart there is a mini golf course. Fishing? But of course. In a twenty mile radius of Graeagle there are more than fifty Lakes. You can fish the Feather River and the many streams and creeks that feed into it. There is the Millpond downtown, where the local Trout Unlimited Chapter puts on a kids fishing derby each spring. Maybe your idea of a summer vacation is sitting on the edge of the Millpond, in your beach chair, an ice tea in one hand, a book to read, and the kids splashing around in the water. Is it possible that you prefer to hike in to the lake of your choice? There are over 100 trails to hike within a fifteen mile radius of Graeagle. The best known is the Pacific Crest Trail. It passes within five miles on its way from Canada, heading down to Mexico. 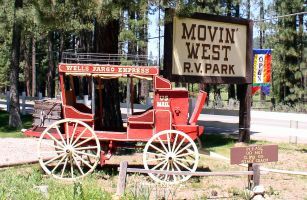 We would love to have you stay with us at Movin' West RV Park . We are the closest Park to downtown Graeagle. Click on the stage coach to learn more about us. Join us often as this site develops and we will expand on all of these fun vacation ideas.
. Geocaching is a really fun summer vacation activity. Also known by our great nephew as treasure hunting.
. We love the views from the fire lookouts, you will too.
. Restaurants, excellent choices. If you spend a week here you will not be able to try them all. And they are good. Just ask my bathroom scale. We love this area. 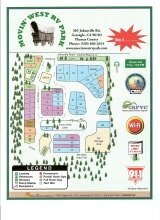 Just call us and ask, what is there to do in Graeagle? We will wear out your ear with the answer. One trip to our beautiful area will just wet your appetite for more. Each summer season there are singles, couples, and families that spend their family vacations here in Graeagle. And now, retired, still visit each summer to renew old friendships developed amid the pine trees. This is a wonderful place to start a family vacation tradition. We spend every free moment possible driving Forest Service fire roads, discovering hidden streams, lakes, old gold mines, and KODAK moments galore. Join us in the pages that follow and let us help you start planning your next several family vacations.